Equitativa, the largest REIT (real estate investment trust) manager in the GCC, has signed a buy and lease-back agreement with French school group Lycée Français Jean Mermoz in a bid to boost its REIT’s education sector portfolio to Dh875 million ($238 million). 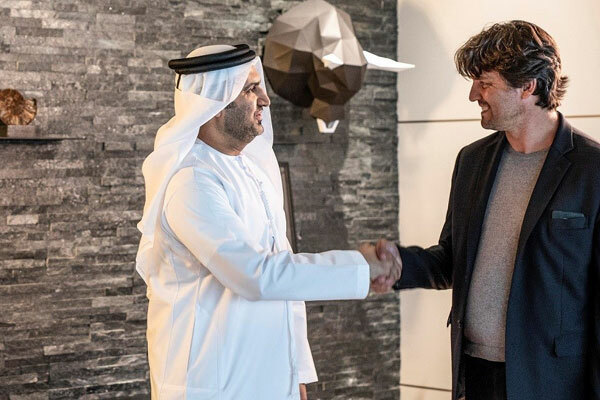 Equitativa is also the manager of Emirates REIT, the largest shari’a-compliant REIT in the world and first such trust listed on Nasdaq Dubai. Under this arrangement, Equitativa has agreed on behalf of Emirates REIT to acquire with Lycée Français Jean Mermoz premises in Al Quoz, Dubai, for Dh75 million ($20.5 million), and immediately lease it back for an initial period of 27 years. This is the fourth educational facility in Emirates REIT's portfolio. Equitativa said it expects the transaction to generate an estimated Internal Rate of Return (IRR) in excess of 12 per cent and provide an initial net yield of 9.75 per cent. Following completion of the acquisition, Emirates REIT’s educational sector portfolio will immediately increase to Dh875 million, representing 27 per cent of the total portfolio. The total portfolio will comprise eleven properties worth Dh3.3 billion ($886 million), said the company in a statement. The new school development Lycée Français Jean Mermoz is located in the heart of the residential area of Al Quoz, between Business Bay and Al Barsha neighbourhoods. It was inaugurated in September last year and currently provides French curriculum education. After completion of the two extensions, the facilities comprising a large gym, an auditorium and two indoor pools alongside the classrooms will be able to accommodate up to 1,500 students. The Lycée Français Jean Mermoz simultaneously assigned the interest on the land leasehold plot to Emirates REIT and entered into an Istisna agreement to fund the construction of facilities’ extension in two phases. The construction of the first extension will start immediately, said the statement from Equitativa. The overall investment including the development of two extensions is estimated to be approximately Dh138 million ($37.6 million) and generate an IRR in excess of 12 per cent. The facilities, constructed to the school operator’s specifications, will propose a final built-up area over 21,000 sq m.
Equitativa Dubai CEO Sylvain Vieujot said: "We are pleased to enter this new partnership with the Lycée Français Jean Mermoz, the fourth educational facility in Emirates REIT’s portfolio. This agreement is similar to the ones completed previously with The Jebel Ali School and British Columbian Canadian School."